For those adventurous anglers with a penchant for photography our sponsors at Montana Angler are offering a unique opportunity to join photographer Patrick Clayton at their partner lodges in either Argentina or Chile in April for the upcoming 2015 South American fishing season. 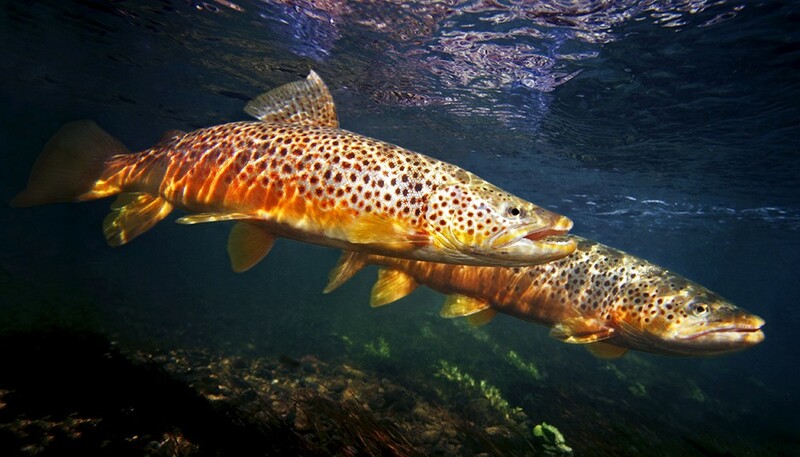 Patrick is better known as the “Fish Eye Guy” and his dramatic images of wild trout and salmon in their natural environment has captured the imagination of fly fisherman and conservation groups alike. Patrick’s work has been featured by Patagonia, Field and Stream, The Drake, Orvis, The Flyfish Journal, and Catch Magazine, among many others. 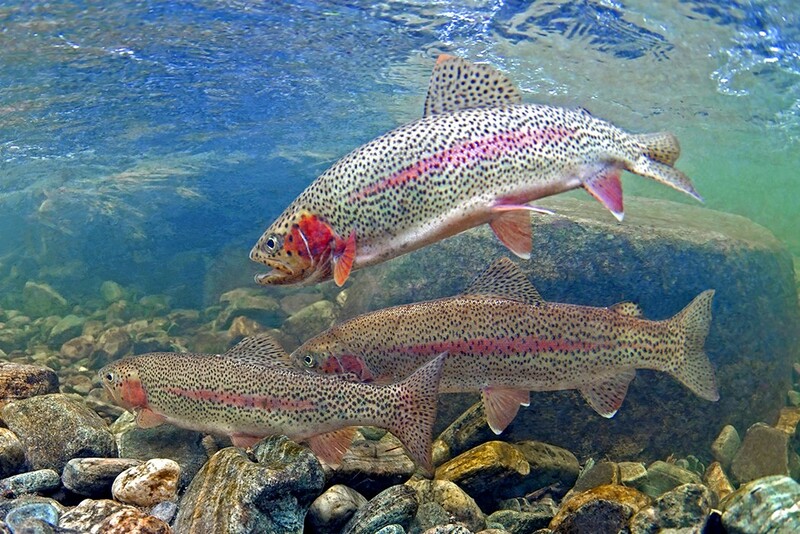 His work has also been used extensively by conservation groups across the country including national and local Trout Unlimited chapters, The Nature Conservancy, National Wildlife Federation,American Rivers, Greater Yellowstone Coalition, Trout Magazine, California Trout, Western Environmental Law Center, and Western Rivers Conservancy. His photography was also featured in the movie “The Breach“, an exploration of the decline of salmon in the Northwest. 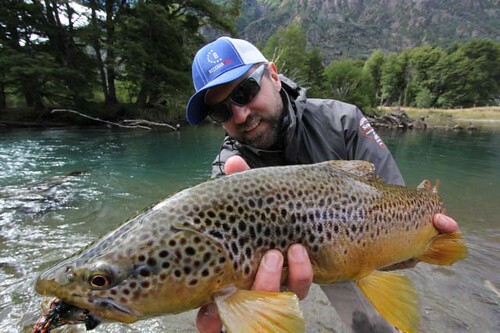 Patrick will be basing out of two Orvis endorsed lodges in Patagonia during the month of April, the Carrileufu River Lodge in Argentina and Magic Waters Patagonia in Chile. He will be at Magic Waters in Chile the weeks of April 4th and 11th and at Carrileufu River Lodge the weeks of April 18th and 25th . Guests can join for as short as one week or as long as two weeks - combining both countries can also be arranged by Montana Angler. 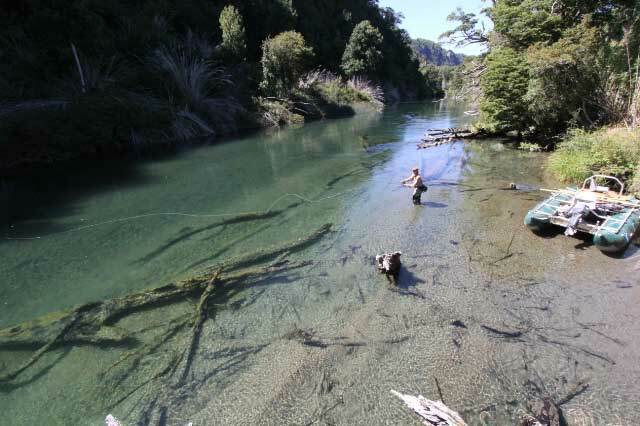 Patagonia is famous for its aquarium clear rivers and will provide the perfect backdrop for Patrick’s work. Guests on the trip will have the opportunity to see how the Fish Eye Guy captures these magical images with remote underwater cameras. Patrick will also be photographing the general landscape as well as images of fishing in action. Guests that join will receive many of Patrick’s images including photos of their own fishing in action! Patrick will also offer tips and instruction for those that want to take their own photography to the next level. 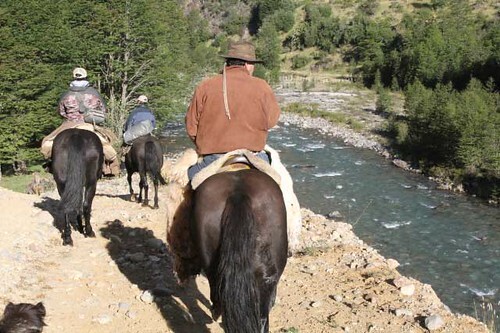 The Carrileufu River Lodge is located on the boundary of the spectacular Los Alceras National Park in Argentina. The rivers in this area are some of the most beautiful in the world. Many of the rivers drain expansive lakes the filter out the sediments which produces incredible water clarity. 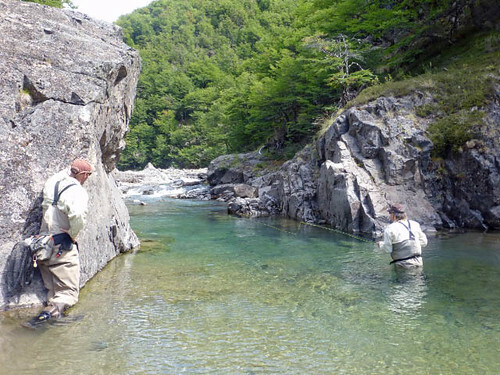 The Rivadavia is considered by many to be the most beautiful trout river on the planet and is just 30 minutes from the lodge in the National Park. Guests will enjoy a variety of fly fishing experiences including float trips on legendary rivers, wading spring creeks and large lakes with massive trout. There is also an option to extend the trip with a wilderness 3 day float camping trip. If you are looking for the ultimate fishing variety in one of the world’s most beautiful but yet lightly fished regions then look no further than the Magic Waters Patagonia Lodge in Chile. The fishing out of Magic Waters is truly spectacular – plan on fishing a different water on each day of the trip – mostly with huge dry flies! The waters include large gin clear rivers, small spring creeks, wilderness streams and dramatic glacial lakes. 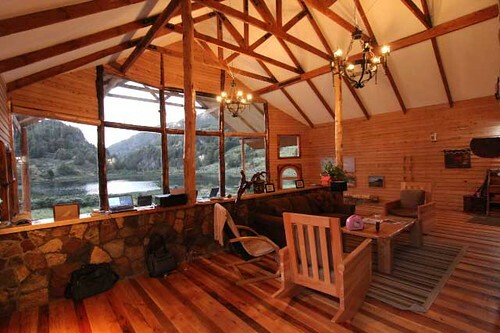 This smaller lodge provides a wonderful gateway into the rich Patagonian culture of Southern Chile. Please contact Brian McGeehan if you are interested in joining this unique experience with Patrick or if you have any questions about the trip. 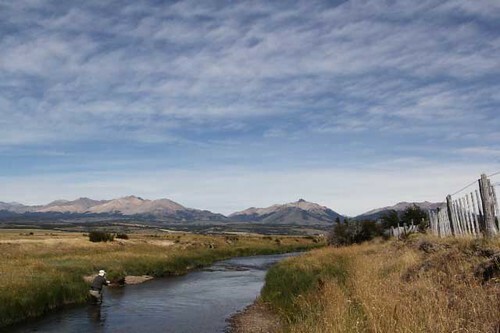 Montana Angler offers domestic fly fishing trips in Montana and Yellowstone National Park as well as international trips to Argentina, Chile and the Bahamas. For the past eight years or so, I've managed to make it out to fish on Thanksgiving Day. I guess it has become a bit of a tradition, made possible by our decision to no longer travel during the Thanksgiving holiday. Spending a few too many hours going nowhere between New Stanton and Breezewood on the Turnpike will eventually lead one to that conclusion. 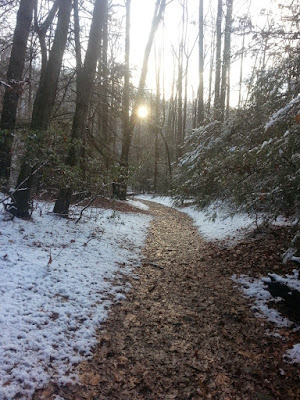 This year, I was looking forward my outing, but the forecast was calling for snow the day before, so I started to temper my expectations as the week went along. Wednesday, the snow started falling around 9AM and continued to fall for the next eleven hours. While the ground is still relatively warm, we still ended up with four or more inches, but by evening, the outside sounds were filled with constant dripping. Overnight temps were supposed to dip below freezing too, and I did not have the luxury of waiting until afternoon to fish, since Thanksgiving meal was scheduled for 1PM. So I told my wife that I would enjoy my day anyway, just thankful that I have the ability to be out walking around in the snow. 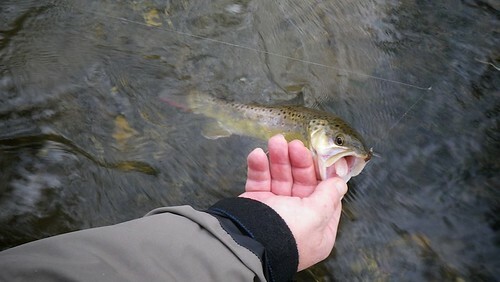 Since I've never really had stellar outings on Thanksgiving Day, and since the conditions were far from ideal (snow melt, air temperatures below freezing, water levels low, and I added crystal-clear when I arrived Thursday morning), I really wasn't expecting much. 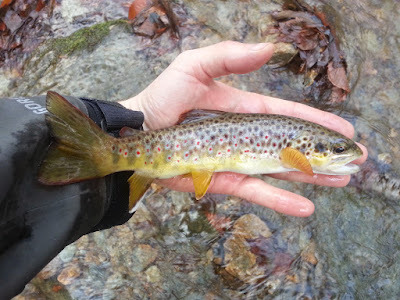 I only managed to fish the stream I was at one other time this year, in mid-January. It must have been a temporary thaw from our Arctic blast, or I was starting to go stir-crazy and needed to get out then. As I was walking in, I noticed quite a bit more blowdown of trees and I remembered the ice storm we had. I've seen the effects of the storm on a number of streams, but had yet to venture out on this particular stream to see how it fared. A number of new deep holes had formed where woody debris created new scour patterns and a number of rock ledge holes had filled in. Hopefully, the new holes will provide protection and cover for the fish for a few years, before the woody debris is blown out in a flood event. Anyway, things got off to a slow start, as expected. I did not even see a fish for the first forty-five minutes. But then my fortunes changed. 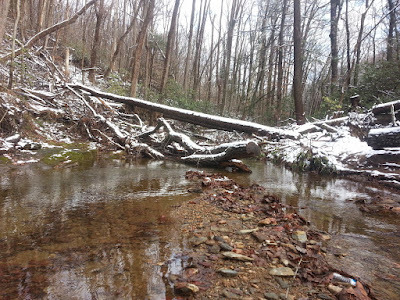 There's a spot where a large boulder sits in the middle of the stream. 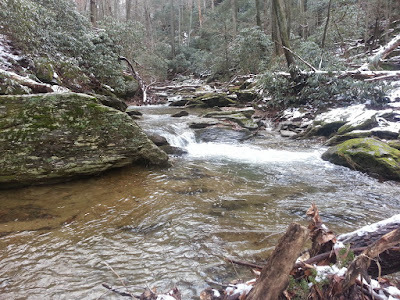 Usually the stream flows equally around each side of the boulder before tumbling into a nice plunge pool at its base. But some of the winter's blowdown had effectively dammed the right side, redirecting all the flow to the left. 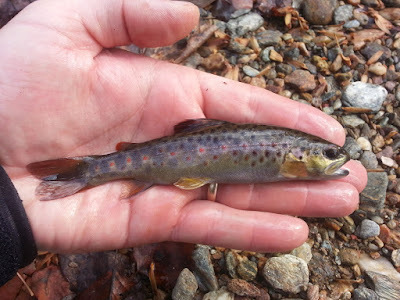 A plucky little brown darted out from the base of the left side flow and as I lifted him out of the water, he long distance released into the plunge pool below. At the head of the boulder, I landed the first official catch of the day. The action continued fairly consistently all morning. Each potential hole had a trout or two in it, and it never pays to overlook the pocket water, riffles and unlikely looking water in between. Some of the larger fish came from areas that I wouldn't have selected, but they are the fish, not me. There are lots of larger boulders, which provide nice holding areas for fish. A young family watched me toy with and finally hook and land a nice little brown from this hole. He lives under the large rock on the left side. 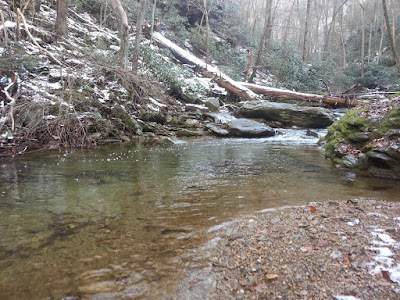 There are big spot fish in this stream and small spot fish in this stream. Here is one of the small spotters. And a large spotter. With a big tail. This guy will hopefully be able to take advantage of some of the new woody debris holes, for cover. He apparently had a bout with a heron recently. Of course, by this time in the morning, I was only about half way through the section I wanted to fish. And I was down to about half an hour to fish, so I started pool hopping. I know I passed a lot of fish by, but the last few fish I caught were special. 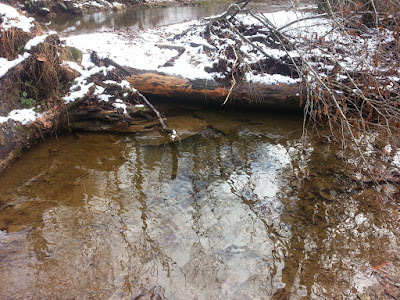 A log had fallen across the stream at this spot a number of years ago. The flow had originally been to the right side, but had flipped to the left side sometime in the past year. I cast first to the right side. There still was a tiny bit of flow through the pool and at least one brown had decided to make it his home. A small black mass charged out from after the log; I thought the fish would be under the rock in the pool. I released him and he swam back to his abode. 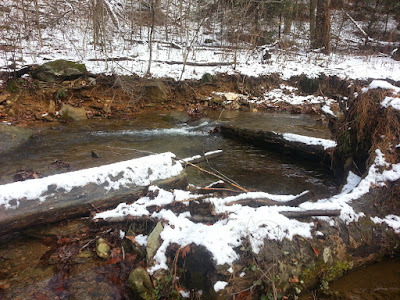 I flipped over to the pool on the left side of the stream, where the main flow was. 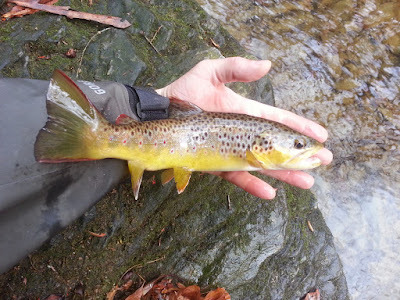 I missed a smaller fish on the first cast, but prospected the pool a few more times. I never figured out where this fish was holding, but it doesn't get much more buttery than this! Still had some faint parr marks. And that was pretty much it. I think I caught one more, but I made the decision to try and honor Thanksgiving Dinner start time and managed to make it there just fashionably late, at 1:15PM. Turned out to be my best Thanksgiving Day outing ever, despite snow (and melt), freezing temperatures, and low, clear conditions. It was a wonderful day to be out, although I was dodging snowballs part of the day, as it warmed and the trees released their coverings. One of the more interesting things I encountered was hearing voices on the hike in. In a few seconds, I came upon two Amish guys sitting underneath a big rock, taking swigs from a Thermos. We nodded polite hellos and I went on my way. 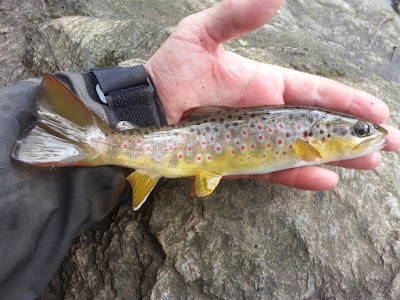 I didn't catch anything bigger than 12", but I love the variety in spots, patterns, and coloration of these freestone wild browns. 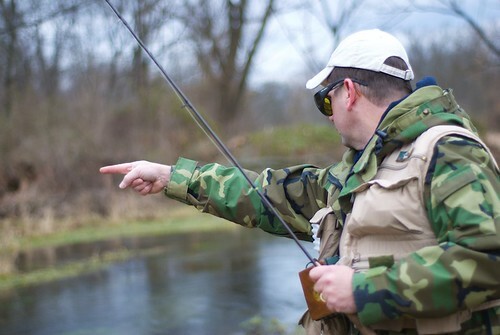 Todd Bowersox, of the Allegheny River Fly Fishing Company (ARFF) will be airing a new radio and podcast program this fall. Bowersox will discover all things wild in the Pennsylvania focussed in the outdoor themed broadcast. 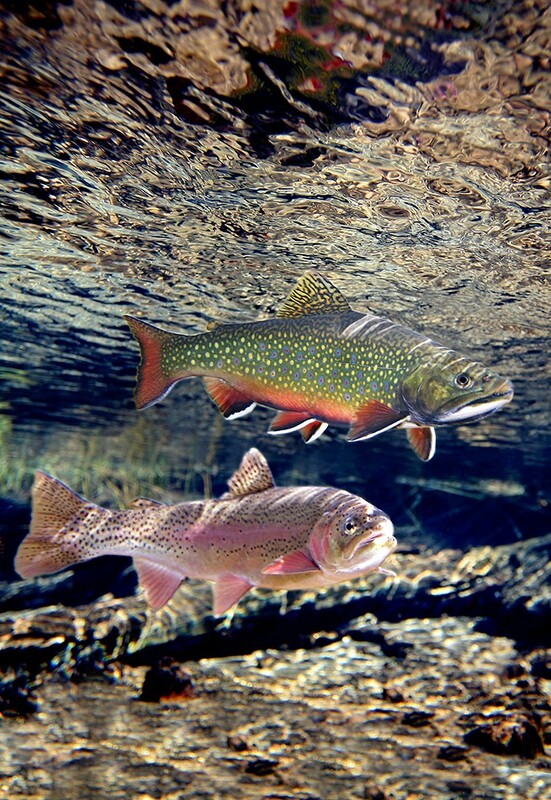 Program topics will include fly fishing, hunting, hiking, biking, camping, kayaking, music, art, and special events in the wilds of northwest Pennsylvania. Into the PAWilds will also feature local and state TU chapter efforts, a conservation minute during every show and a "tips & tricks in the weekly program. Week 1 - October 4: Fall steelhead fishing and fly fishing on the Allegheny. Into the PAWilds will be airing weekly on Saturdays beginning October 4th for 30 minutes at 10:00 am on 104.3 FM Kinzua Country, Warren PA and follow the program on Facebook. The 2nd Annual Pennsylvania Fly Casting Competition was held at the Carlisle Events Outdoor Show at the Carlisle Fairgrounds on September 6. Contestants were challenged for accuracy and distance events in several different skill categories. In the distance component, casters earned points for the length of their casts and had to place their flies within a narrow 10-feet wide lane. Accuracy casting required contestants to land their flies within 30-inch and 54-inch target rings at random ranges between 25 to 60 feet. Derek Eberly of East Petersburg, Pennsylvania, was overall high scorer as well as champion in the Expert Division. Eberly also achieved high score in accuracy casting. 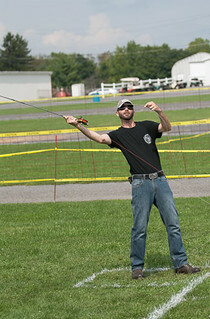 Dave "Old Lefty" Rothrock of Jersey Shore, Pennsylvania, earned second place in the Expert Division and also made the longest cast of the day at 100 feet. Ranking third among the Expert casters was Eric "stenonema" Richard of New Bloomfield, Pennsylvania. Angler Division first place went to Tom Miller of Carlisle, Pennsylvania. Darren Wishard of Hagerstown, Maryland, took second place among the Anglers, and Rod Cross of Chambersburg, Pennsylvania, was third. Two contestants competed in the Youth Division this year. DaCota Leader of Everett, Pennsylvania, was the Youth champion. Second place went to William Sweger of Landisburg, Pennsylvania. Congratulations to these two young fly casters for competing. 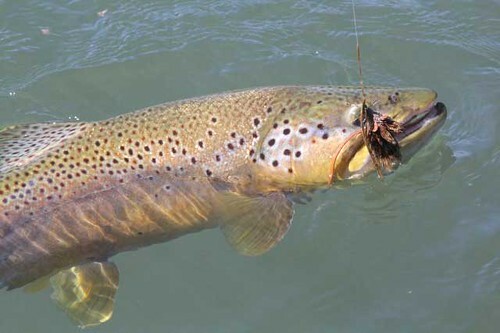 The competition was organized and conducted by the Cumberland Valley Chapter of Trout Unlimited, the Chesapeake Council of the International Federation of Fly Fishers, and the Antietam Fly Anglers. A special thanks to Chris "Artifishal" Haag (pictured above) for help getting some of the photographs and event info together for me. Photo by Ken Tidy. This past April Chris Spangler from Slinger Fly Rods posted an early flight of his Phantom DJI Drone Quadcopter over Young Woman's Creek.. He has been braving his drone (that's what I 'm going to call it) over the Pennsylvania streams and waters for just over six months. 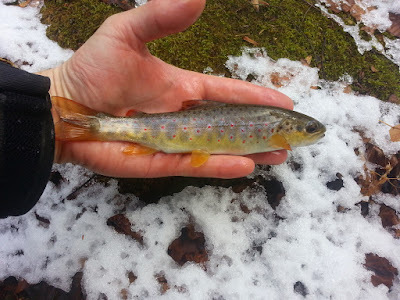 His latest video takes us over Kettle Creek in Pennsylvania. I nice six minute run over the creek with anglers fly fishing. "Part of me was worried that it would be too difficult to operate and devastating to crash and ruin. Add in the GoPro Hero 3 and it made me even more nervous. The learning curve believe it or not was very slim. It's very basic in its functions. If you have ever played video games in your life you can operate this machine from day one with minimal instruction", shared Chris. Heberly from Paflyfish and kids were part of the fun while Chris flew the Phantom over Kettle Creek. A lot of news and controversy with drones as of late. The US Park Service has banned them from US Parks for example. 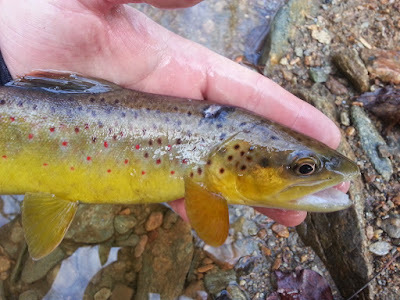 I hope Chris can share more of these great images of these fly fishing waters in the region. I for one enjoy the images. You can learn more about Chris and Slinger Fly Rods where has also guides here. The Aisen Region of Chile is located about the same distance South of the Equator as Montana is North. On a recent trip to the Coyaquie province we targeted wild browns and rainbows while fishing a remarkable diversity of fisheries including large float rivers, huge crystal clear lakes, spring creeks and wilderness mountain streams. We stayed at the Magic Waters Patagonia Lodge which is tucked away in remote valley with 5 private lakes filled with wild trophy fish. The lodge is right on the edge of the Cerro Castillo National Reserve and the wilderness lakes and rivers within but is also within easy striking distance of the fertile spring creeks and valley rivers of the dryer pampas region. The mountain rivers are free of sediment and are gin clear with an emerald green hue. The pampas areas near the Argentine boarder are dryer and it is a similar landscape to the Dillon Montana area (without other fisherman!). I have been hosting trips to Patagonia for the last five seasons and this area blew me away in every way: amazing diversity of fishing options, big trout, few other anglers (we didn’t see any), and exclusively fishing huge dry flies. As a Montana fishing outfitter I pride myself on a nice collection of big rubber legged attractor dry flies but when I showed up to the lodge and showed Eduardo Barrueto, our host, my box he asked “do you have anything bigger?”. We spent the entire week throwing the biggest dry flies we could handle including huge size 2 beetle patterns and even larger mouse patterns. Big dries. One of the reasons the trout in the mountains of Chile love such big dry flies is because they love to eat Cantara beetles. 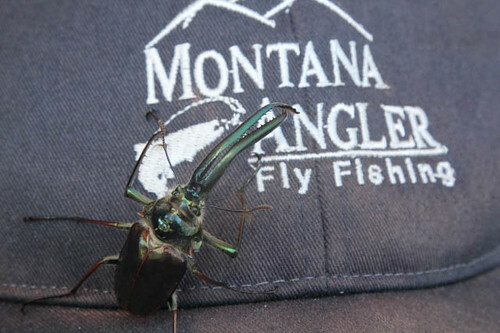 These massive beetles look like hummingbirds when flying and are a huge meal for a hungry trout. A size 4 or 2 Gypsy King or black Fat Albert is a good imitation and a favorite fly of the guides. 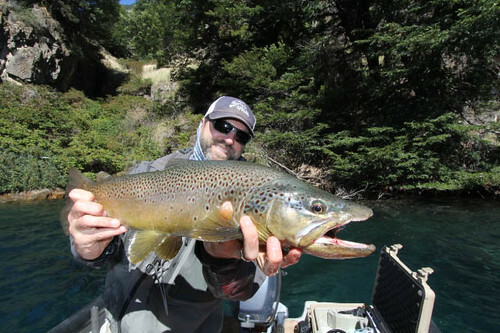 Huge lakes are abundant across Patagonia and most are filled with huge trout. In the Coyaque province lakes like Lago Azul (or Blue Lake) are filled with big browns to 30”. They still love to each dry flies and a day spent rowing along the big cliff walls throwing mouse patterns over submerged timber is a unique experience that becomes even more memorable when a 25” brown inhales the rodent imitation at the end of your fly line! This big 25” brown ate a mouse pattern on Lago Paloma. We spotted it lying along a cliff wall above some down timber. I had to throw the mouse pattern inches from his head to entice him into an explosive strike. Sight casting on the big lakes was one of the highlites of our trip. The abundance of big lakes also helps to filter sediments out of the water and the rivers that connect the lakes are always gin clear. 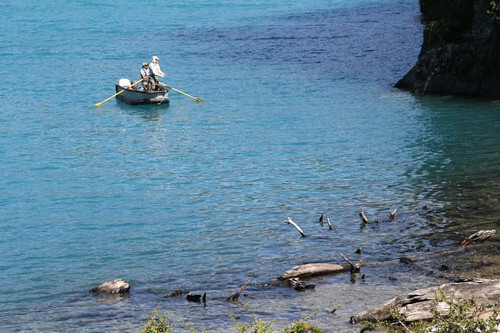 The Rio Poloma is a special fishery that connects Lago Azul to Lago Claro. A more beautiful trout river is hard to imagine. A 45 minute drive to the east took us into the dry pampas near the Argentine boarder. We fished a beautiful unnamed spring creek on a huge private estancia. Grasshoppers were in abundance and big browns were spooky but willing to aggressively take the flies on the first cast if it was well presented. 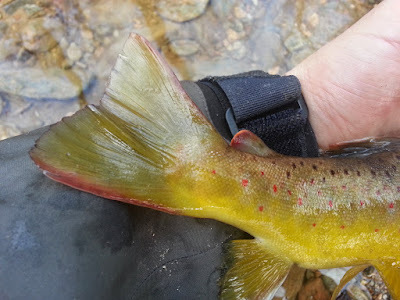 This big 22” brown clobbered a size 1 mouse pattern skittered across the surface of the Rio Niriguoa – yet another private spring creek on a huge estancia. The hopper fishing was incredible in the morning on the Niriguoa – so good that after lunch I “supersized” to the mouse which brought the catch rate down to 2 or 3 fish per hour but dramatically increased the average size. All of the fish caught “mousing” were between 17-22”! Evenings were spent back at the Magic Waters Lodge enjoying good company and delicious local seafood, beef and lamb along with a great selection of Chilean and Argentine wines. We spent another day on the Paloma River, but this time on the upper portion which has beautiful braided sections and great holding water. We had about 30 minutes of cloud cover so I tried a streamer and within five minutes hooked this big 23” brown that was hiding in a backwater full of downed timber. I thought for sure I snagged a log at first. That was the only 30 minutes of the entire trip that I fished anything besides big dries but it certainly paid off! On our last day we accessed yet another private estancia. This time are target was the famed Rio Simpson. After making our way across several ranch gates we hiked into a small canyon to target the emerald green waters at the bottom. We saw both large browns and rainbows but failed to connect with any of the big boys on this day. The Rio Blanco is a gorgeous mountain stream. The lodge has private access to some great water that allows for site casting to some nice sized browns and a few rainbows. 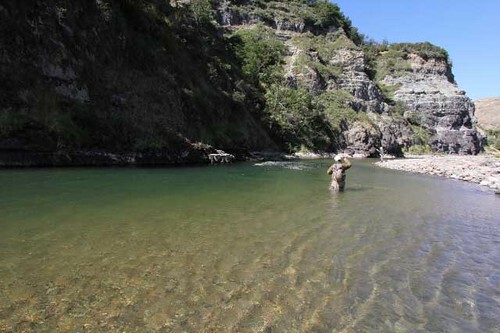 Visit the Montana Angler blog for a full Chile 2014 trip report. Brian McGeehan is a Pennsylvania native but has been guiding an outfitting in Montana and the west for 20 years. 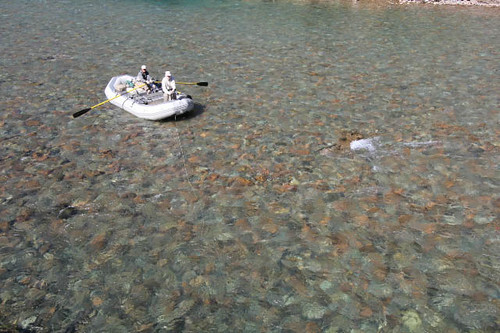 His company Montana Angler Fly Fishing specializes in both Montana fishing as well as destination travel to Patagonia. 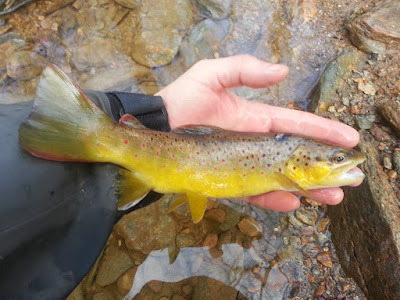 This past year was my first year fly fishing and most of what I've learned has come from the help of members of this forum. I've had a blast getting to know all of you and just wanted to say thank you for all the events put together and willingness to help out the newbies. This January I had a family vacation scheduled to Grand Cayman. I've been there one time prior but never fly fished there. This time was gonna be different though! After some research and talking to a few members on here I decided to book a guide early on in the trip then take what he taught me and fish on my own the rest of the time. From a members recommendation I contacted a local guide Randy Parchment. Randy was a great guide and super knowledgable and helpful. He kept in contact with me during my whole trip giving me tips on where to fish and who to purchase some local flies from. He also helped with other touristy things on the island. For our guided trip he took me to the flats of Rum point and definitely got me on some bonefish. I wasn't able to connect on any fish that trip but not for lack of trying on both Randy and my part. With the knowledge I gained I was ready to hit the flats on my own. I mainly fished at Rum point due to the wind directions of the week. It was the calmest portion of the island and the fish were definitely there. After a few hours on my own over the next couple of days I started realizing why bonefish are referred to as the "gray ghost". They are very difficult to spot moving across the flats. Once you manage to spot them and stalk within casting distance you had to be spot on and delicate in your presentation. I busted many a group of feeding fish by casting too close or plopping my line down too hard on the water. Once that wrong move was made those fish scattered! 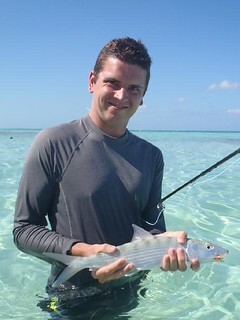 I stuck with it though and on my third outing finally landed my first bonefish! They are every bit as powerful as people say. That fish snapped the line right out of my fingers and took off! After a few runs though he was mine. Throughout the trip I managed to land 4 bonefish and a few other random fish. 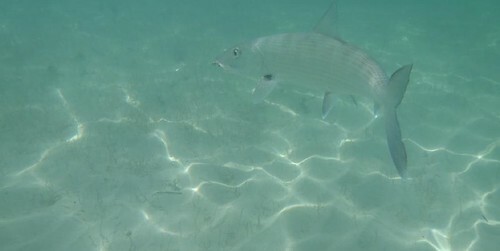 All the bonefish were on the smaller side. I saw a few bigger ones and got one to chase my shrimp pattern but never took it. I also went out a few times for smaller tarpon in some of their salt ponds but never got lucky. I had a hit on a popper there but no hook up. I had a blast fishing for bones and look forward to the next time I can get somewhere tropical. For those interested I used a TFO BVK 9ft 8wt rod and reel. It performed flawlessly for me and I was able to get some good distance out of my casts. 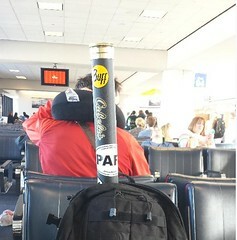 As for flying I was able to take my rod and reel as a carry on from here to Grand Cayman. However, upon return since it is a British island the rules were different and I had to put it in my larger suitcase under the plane. If anyone wants any more info feel free to pm me. And here’s a few more pics on Facebook from the trip and follow along in the forum here. I got in early for the 2014 Fly Fishing Show in Somerset, NJ. and spent some time checking out the exhibit area as all the booths were getting setup. Glad I was a tourist that afternoon as many of the vendors put a lot of work getting ready for the weekend. Hung out with Rick Nyles & Nick Raftas at Sky Blue Outfitters since they got setup early. Fridays are the day I like running through the exhibit floor before the bigger crowds on Saturday. I made my way over to the professional fly tiers including Dave "Wetfly01" Allbaugh and Mike "firandfeather" Heck. Plenty to see from Sage, RIO, and plenty of vendors with tying materials. Always pleased to see and spend some time with Justin, AJ and Evan at the Allen Fly Fishing booth. They were busy all weekend and with a lot of folks getting into their reels and rods. Of course a lot more guys from Paflyfish showed up on Saturday and could help but running to everyone. 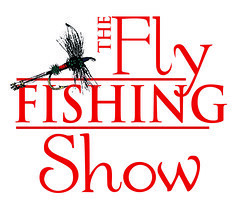 Another fun show and looking forward to the Fly Fishing Show - Lancaster in March. 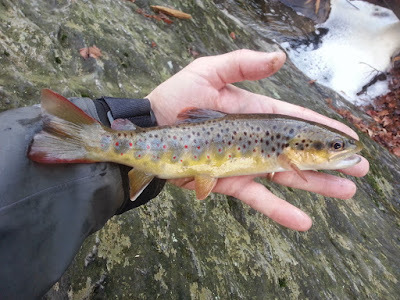 In an attempt to get just one more day in fly fishing for 2013, Afishinado, Fishidiot and I made our way over to central Pennsylvania on Monday. A cold wintery day, but to be expected for the end of December. A heavy rain hit the region the day before. 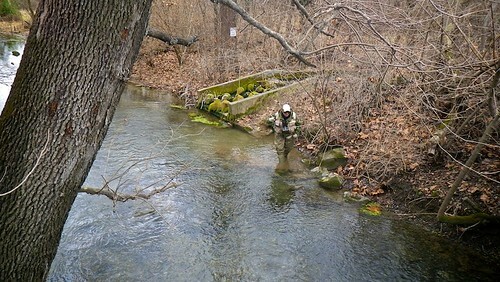 Many of the limestone and smaller streams were cleared up and fishable. It was still very cloudy and temperatures held in the upper 30's all day. We found our way over to the Letort in hopes of a Blue Winged Olive (BWO) hatch mid day or early afternoon. 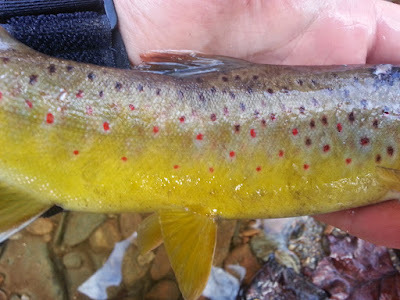 It is pretty common on cloudy, mild winter days to find a sporadic BWO hatch getting the attention of the locals. 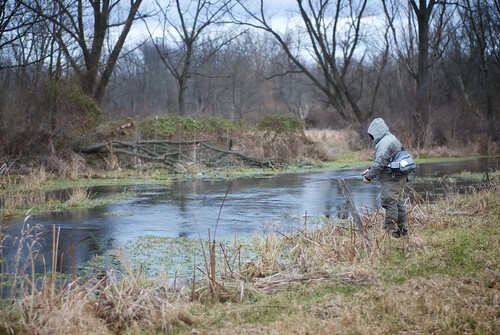 Winter fly fishing can be very difficult. 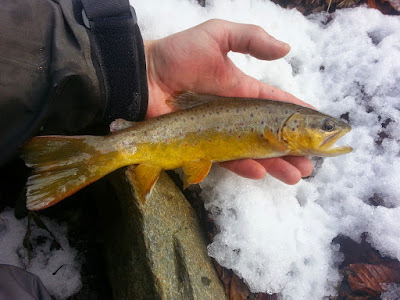 Cold weather and less active trout can make for some real hit or miss fishing. 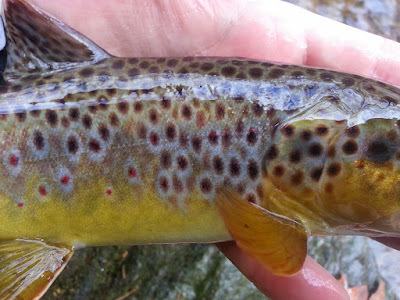 For the Letort and the wild brown trout in the stream the best approach is nymphing with the hope that some risers are out on midges or BWO's. The high streamside vegetation that so strongly dominates everything along the stream in the summer is gone and it is easier casting if you are lucky enough to try some dry flies. Afishinado managed to get some action with nymphs. I did see a few risers and tried a midge with my usual "no luck". 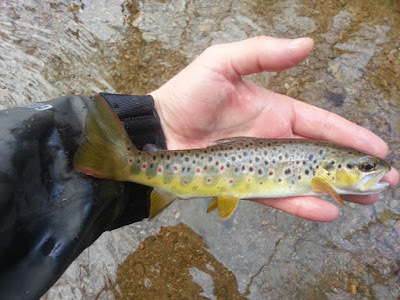 There were some small BWO's sailing down the stream, but not a lot of active fish rising to them. What was more interesting was our observation of what look liked a #16 sulphur mayfly that was hatching during that same time. We were pretty taken aback to see a few little orangish mayflies floating past us in the middle of winter. A fun day out and glad we could fit in one more final day in for 2013.